This is the Chinese edition of the famous Dutch gnome Pinky. Pinky, a little man not bigger than your pinky, is recognizable by his white beard and his blue pointed cap. He lives in Silvertowervillage with his wife Pinkylotje. One day the king and queen come to Pinky, asking him to look for a pearl for the queen. Pinky designs a diving suit and goes on a trip. First with Longbody, the snake and after that with an elephant. He flies with a monkeytransport to Amsterdam and in the zoo he meets a lot of old friends. Father Pigeon takes him to the sea. 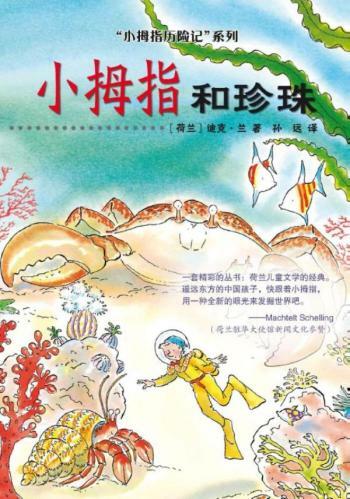 In his diving suit Pinky jumps into the water and meets jellyfish, squids and pearloysters. Than he learns about a ship wreck that contains boxes with gems. Helped by Cutpinch, the crab and Sawnose, the sawfish, Pinky tries to open the boxes. Will he succeed in finding a pearl? Read for yourself!